Dental researchers from Plymouth University Peninsula Schools of Medicine and Dentistry have come away with a raft of awards following this year’s general meeting of the British Society of Oral and Dental Research (BSODR). Donald Singer was the winner of the national BSODR Unilever poster prize, and Jemma Walker received a commendation in the national BSODR Senior Colgate competition. Both submitted research based on the use of stem cells in the regeneration of teeth and dental tissue. Their research is overseen by internationally-renowned dental researcher Dr Bing Hu. 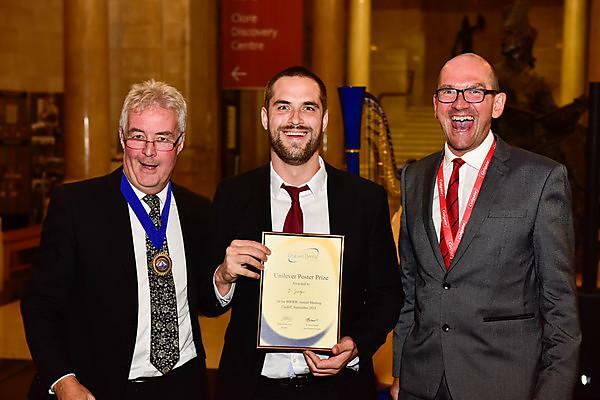 Martin Helley received a commendation in the national BSODR Unilever poster prize for a submission about research relating to chronic pain in oral and facial conditions. At the BSODR general meeting, Dr Vehid Salih from Plymouth University Peninsula Schools of Medicine and Dentistry was elected to the BSODR management committee, where he joins colleague Professor David Moles. Plymouth University Peninsula Schools of Medicine and Dentistry will host the next BSODR general meeting, which will take place 6 - 8 September 2017. Find out more about this meeting.